creating unique, sensible solutions for construction projects throughout New Zealand, from our studio in Ngaio, Wellington. the essence of the environment they wish to inhabit, and the ability to exceed those expectations! ​restoration, decks, and joinery collaborations. Architecture Nest Limited is an ​NZIA practice. 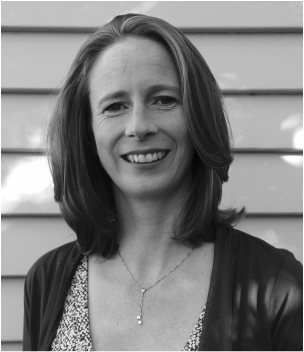 Andrea Tucker is a NZ registered Architect with over 20 years experience in architecture. She is a member of the NZ Institute of Architects and is the Principal Architect at Architecture Nest. Andrea has extensive experience in residential projects; new homes, apartments, alterations, additions, and restoration; as well as early childhood facilities, social housing, and retail. When out of the office, Andrea likes to keep active and enjoys bug hunting or picking flowers with her young children. She may not admit it, but she does like to craft in her quiet time too. • Central Park Apartments, Wellington, NZ Institute of Architects National Award, 2014, at Novak + Middleton. Architecture Nest is proud to have 'adopted' a plump little Kakapo, Marama, in celebration of birthday, and to support the Kakapo Recovery efforts..
Andrea enjoys tutoring the Professional Practice course and engaging with the Masters of Architecture Degree students.